Replies: 86 (Who? ), Viewed: 85542 times. Made for Sims Medieval Pirates & Nobles (2.0.113). 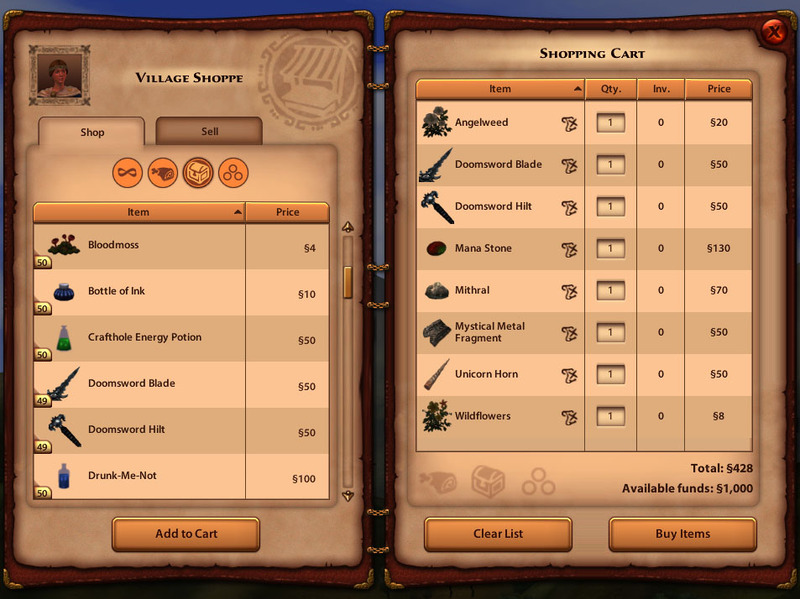 Check out Carrigon's "Shop in Bulk Medieval" if you don't have Pirates and Nobles installed. Only install one shopping mod. Please do back up your save first, in-case something goes wrong. If you need something else added up, do let me know, I will see what I can do. Credit to Carrigon as I used his/her/their shopping hack mod as resource. Created this while he/she/they update the shopping mod for P&N. Updated to v2 with slightly more items. Then don't use the mod. Those of us who have been playing the game a while and are tired of spending half a sims day every day gathering, or visiting the market every single day for 1-2 of an item when we need quite a bit more than that... or any of the other reasons why we would want this mod, will use it with a smile. There's a certain point where you want to focus on other aspects of the game and mods like this help us do that. Thanks so much for the new Mod! My game play time is more limited at the moment and I don't have time to waste running around from place to place looking, waiting, or trying to get stuff. This will help the way I play, a lot. Will this conflict with Grim's Core? I like playing The Sims. I don't like to be played like a Sim. I'm using both this mod and Grim's core and haven't run into any problems. Thanks, I'll install it the next time I get a chance to play. if you don't have p&N I would suggest using carrigon's shopping hack mod. That's correct, this is made for P&N and compatible with Grim's Core Mod. Oh, God, second. Sure, there are some times when I'd want to do it the old way, but trailing around going to the few places where angelweed grows gets old. Why it's not work on my sims medieval ? i don't think your mods folder needs t obe in the bin, just put in the c:\program files\electronic arts\the sims medieval folder. Darth is right. You have your mods folder in the wrong place. Only the .dll file goes in the bin. You have to move your Mods folder to The Sims Medieval folder. I can't seem to get version 2 to work. Both mods are in the proper folder and I can see version 1 modifications just fine. Why would one work but the other not? For info purposes, I tried using just version 2 first, then thought I had to have version 1 also, downloaded that and placed it in the mods folder. But I'm not seeing the 50 mana stones in the shop or anything else. I put version 1 in and it's working fine. I'm not sure at all what I'm doing wrong. you should only use one village mod at a time. . . 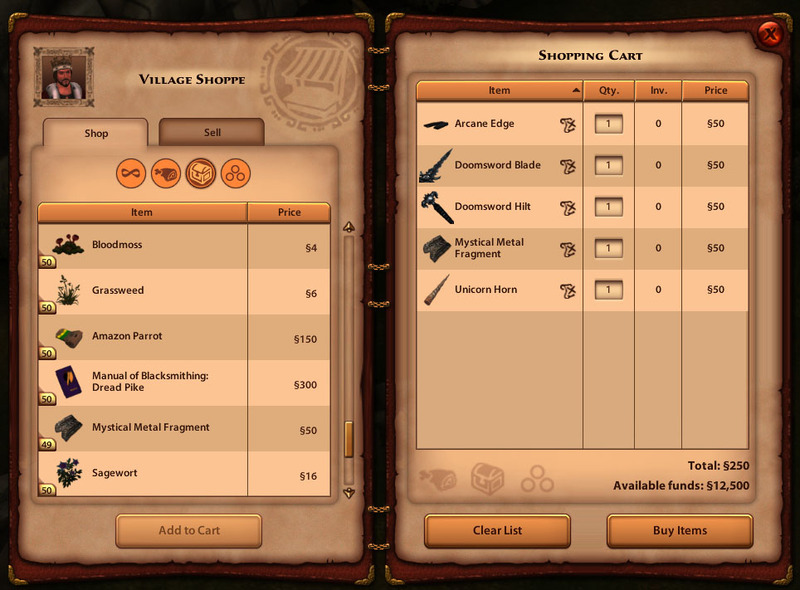 So, have you tried to wait for the village shoppe reset? Which is 3 am. Er, yes. I put the mod in and have been playing through several sim-days. Also, in regards to the "use one mod at a time" solution, I tried using the V2 mod by itself FIRST without the original mod and it never worked for me. I added the original V1 mod and it's working fine. V2 is doing nothing and that's what I need answers for. Do you have any other mod that are related to market mod for example ShimrodsTSMMarketStallMoreItemsVer3.package mod? this mod will conflict with the Village_Shop_Tweak_PN_V2.package mod. Could you add Lute of the Watcher to the list when you get the chance? And/or Heavy Metal Lute? Sent my bard from my latest kingdom to the shop and the best lute available was the Masterwork lute which bummed me out. Thanks!